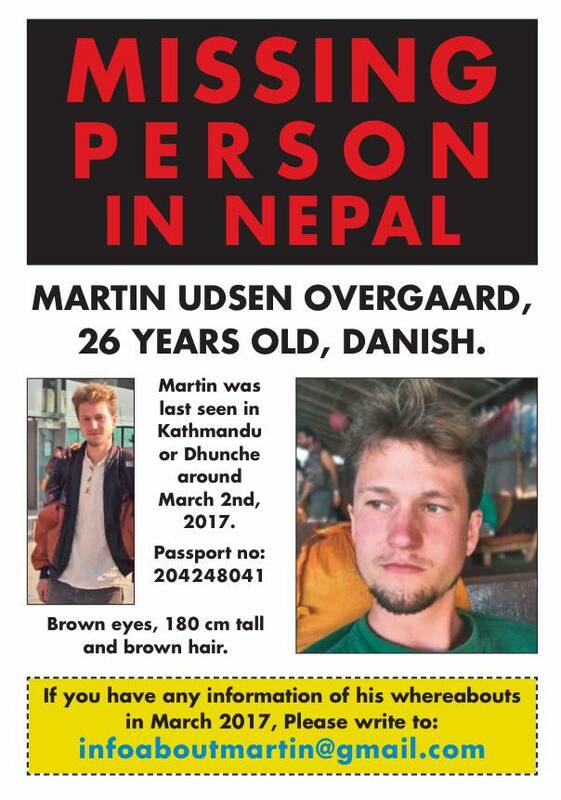 Martin Udsen Overgaard went missing heading towards Dunche for trekking in the Langtang region. 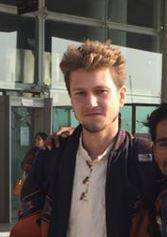 Martin was last seen close to Tsergo Ri on March 6th 2017 . He is of a slim build. It is presumed Martin was planning to trek alone. 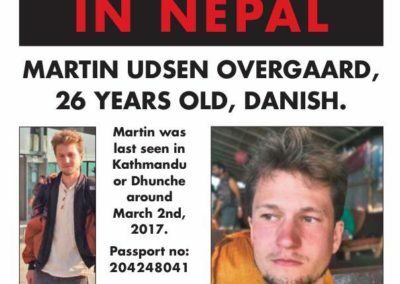 Over the past few days, we’ve managed to piece together the details surrounding Martin Udsen Overgaard’s disappearance. On the morning of March 6, 2017- Martin set out alone for a trek up to the peak of Tsergo Ri in the Himalayas (marked by the red line on the map). He left some clothing at the guest house and said he would return, but he never did. 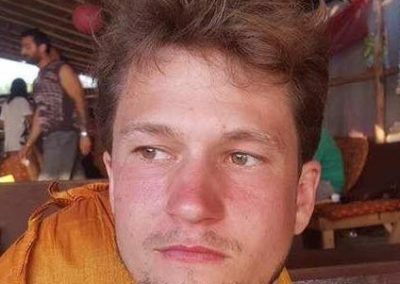 His friends and family have not heard from him since March 2. 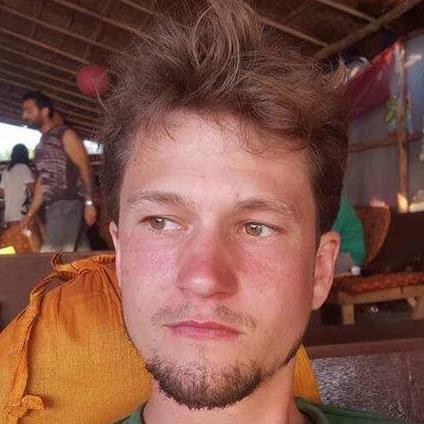 The last people to have contact with Martin was a group of trekkers and their guides at the peak around 13:30. 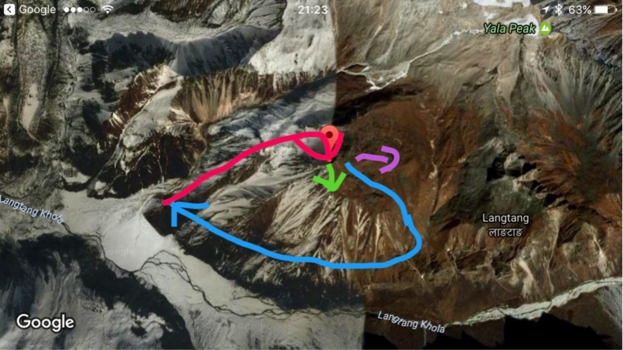 These trekkers descended down the mountain using a circumvent route (indicated by the blue arrow), but suspect Martin may have taken a different route down (green arrow). This leaves us with a massive area to search. At the top of the Tsergo Ri peak at 1pm on 6th March 2017.